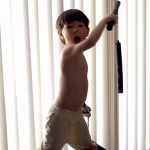 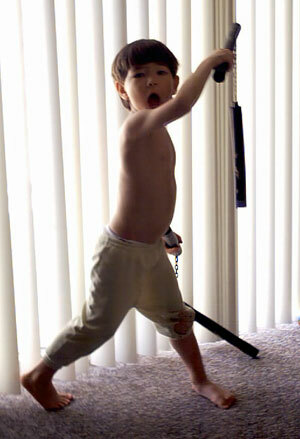 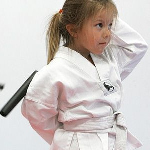 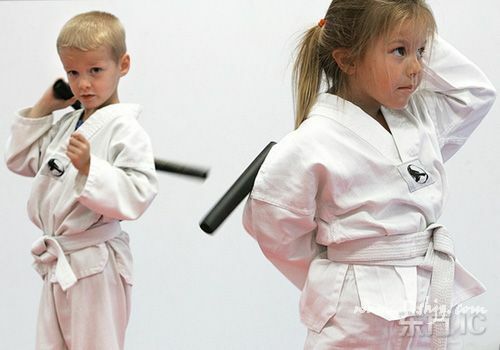 A very young boy with Nunchakus. 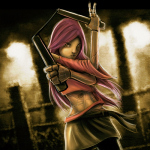 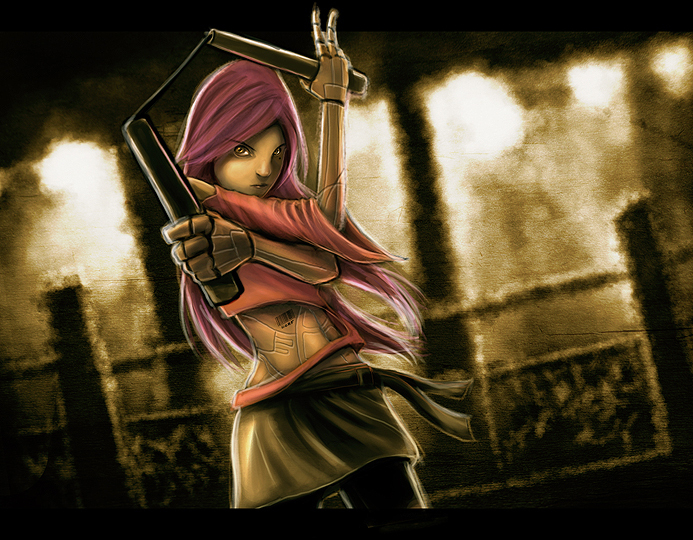 This is an android with a Nunchaku. 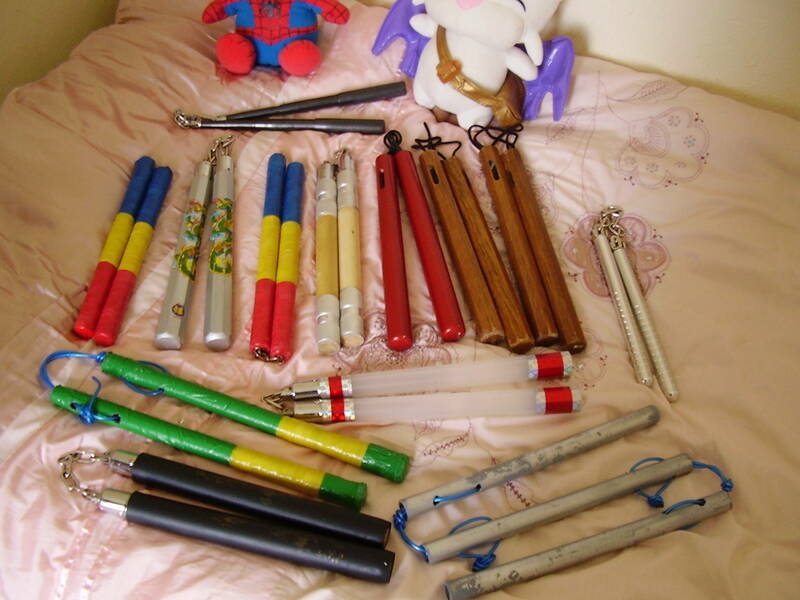 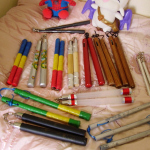 A good collection of Nunchakus. 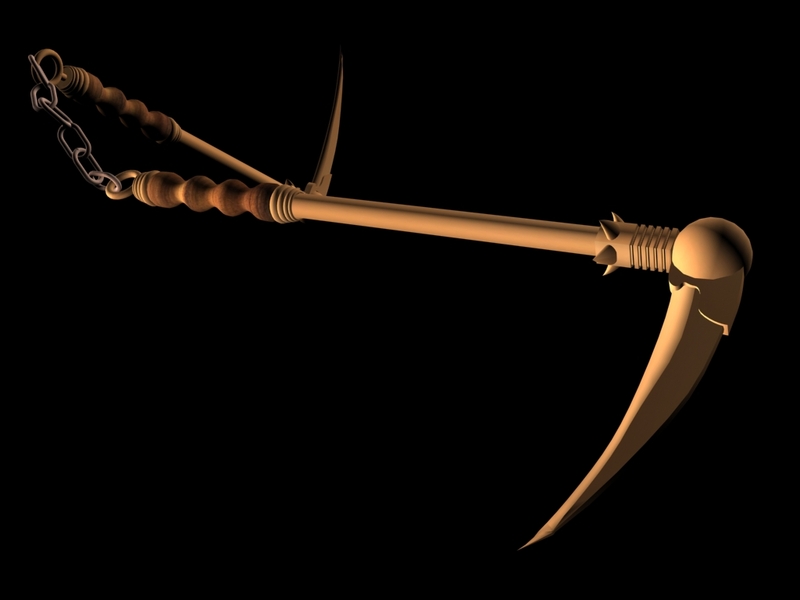 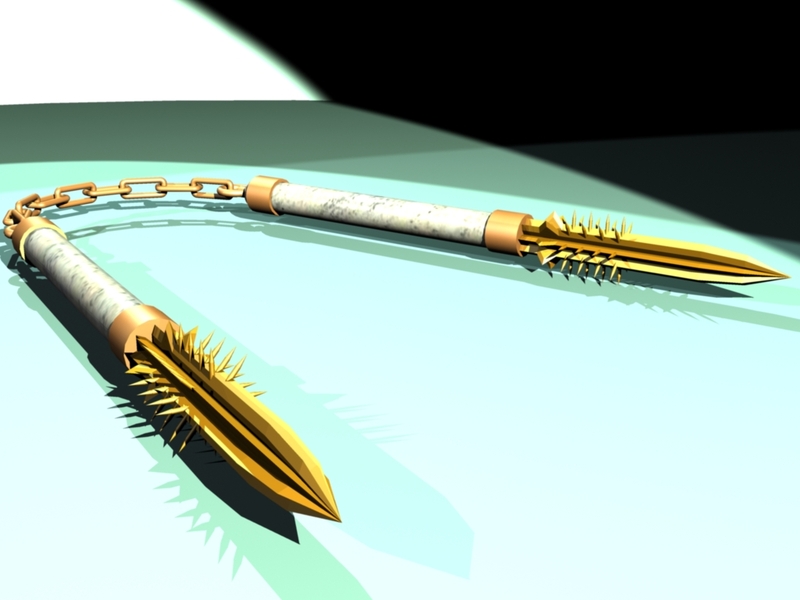 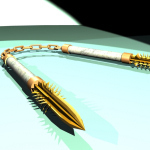 Another digital image, this time the Nunchaku has needles ! 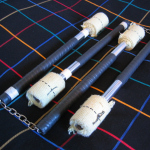 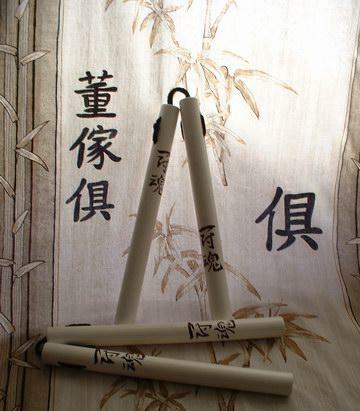 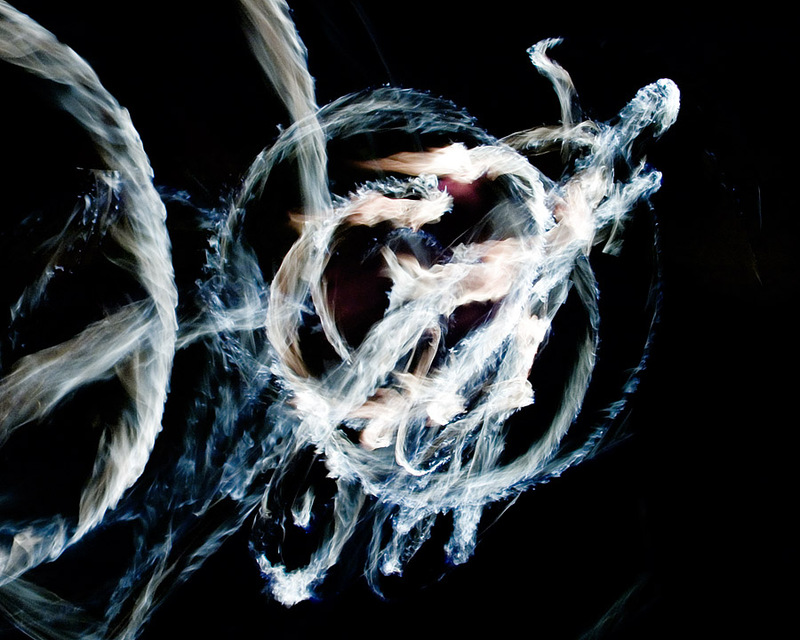 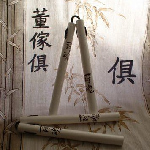 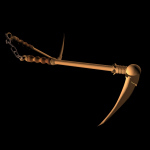 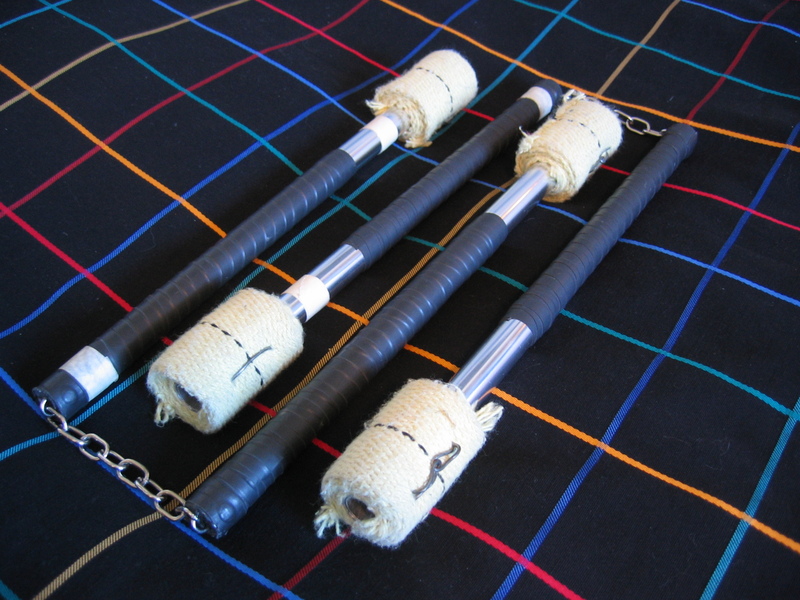 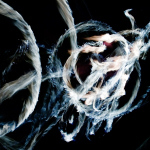 A digital image of a Nunchaku made of two sickles. 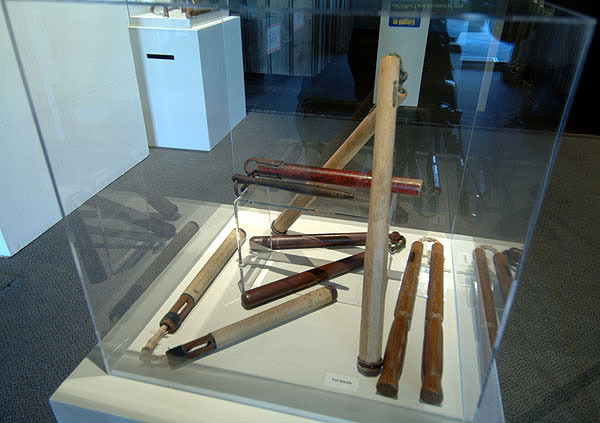 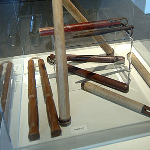 Very ancient Nunchakus exposed on the Kobudo museum in Hawaii.